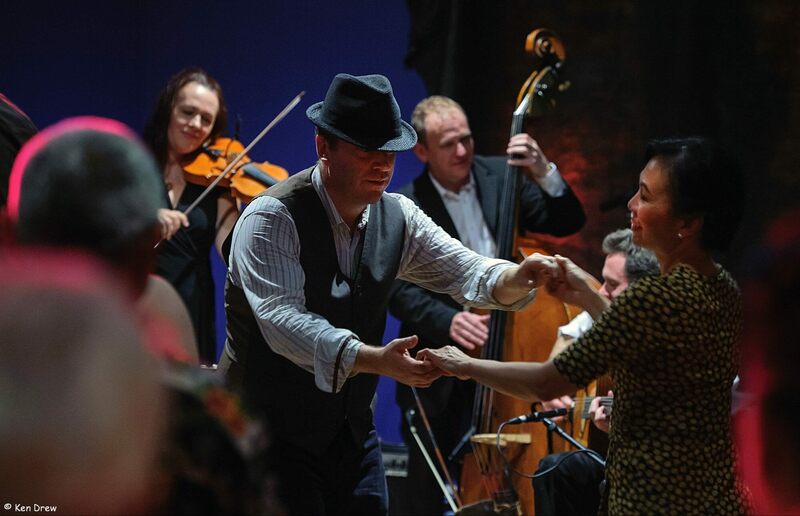 The opening jazz season at the Globe kicked off on 4 October with a lively night of dancing and gypsy jazz with the inspired pairing of Djangologie and Lindy Jazz. The joint was jumping! There’s lots of photos, videos and positive comments on our Facebook page and there’s also a review on the wonderful jazz blog Bebop Spoken Here. The following week it was turn of Blue Jazz Quintet, a local band associated with the Sage’s Blue Jazz Voices programme this time playing without vocalists. This was also favourably reviewed by Bebop Spoken Here. Anyone who has visited the jazz club of the first floor of the Globe will have noticed … the refurbishment work isn’t finished yet. Sorry! Guess what? We discovered the hard way that refurbishing an old building takes longer, much longer, than you think. But we decided that the show must go on so we hope you’ll come along and enjoy yourselves despite the unfinished walls!